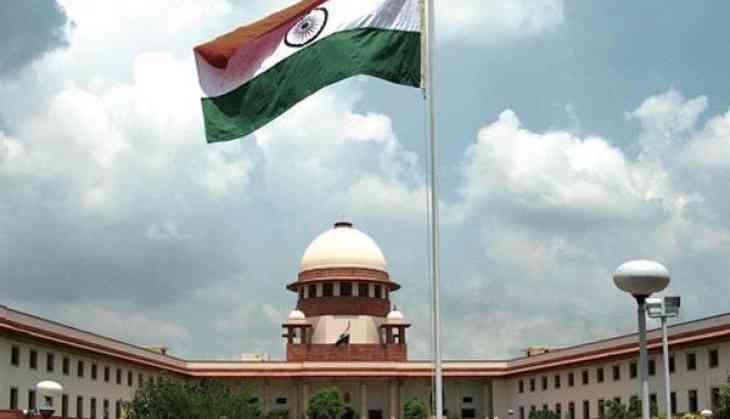 The Supreme Court Wednesday directed the Inspector General of Police of Meerut range to supervise the investigation in the Hapur lynching case. A bench of Chief Justice Dipak Misra and justices A M Khanwilkar and D Y Chandrachud was informed by the Uttar Pradesh government that it has transferred the SHO concerned and filed appeals seeking cancellation of bails granted to the accused in the case. "It is directed that the investigation shall be carried out under the supervision of IGP of Meerut range," the bench said while posting the matter for hearing after two weeks. Advocate Aishwarya Bhati, appearing for the Uttar Pradesh government, told the top court that the police had taken swift and instant action at the time of the incident and the investigation in the case will be completed in 60 days. On August 13, the apex court had directed a senior Uttar Pradesh Police officer to probe the Hapur lynching case in which one person was killed and another brutally assaulted in the name of cow vigilantism, while terming the allegations of survivor Samiuddin as "serious". It had also directed the IGP to "facilitate the recording" of victim's statement before a judicial magistrate regarding the incident in which 45-year-old Qasim Qureishi was beaten to death on June 18. "In the meantime, the IGP, Meerut (Range) shall submit a report with regard to the incident in question. We have so directed keeping in view the serious allegations/ assertions made in the writ petition," the bench said. The plea had sought setting up of a Special Investigation Team (SIT) to ensure "an impartial, competent and fair investigation" into "the barbaric incident of mob lynching on June 18 in Hapur district of Uttar Pradesh, wherein Samiuddin (the petitioner No. 1) and Qasim, both belonging to the minority community, were targeted and mercilessly assaulted by a mob of the majority community from the neighbouring village, in the name of cow vigilantism." Besides the state government, the court also issued notices to the IGP, Additional Director General of Police and Superintendent of Police of Hapur. The plea had sought "setting up a SIT comprising of police officers with impeccable career records of integrity and competence from outside the state of Uttar Pradesh, which shall be charged with the responsibilities and duties of investigation, in respect of all issues relating to the matters concerning and arising from the incident". It had sought a direction that the SIT "shall report to and be responsible to this court through the filing of periodic status reports and shall also keep this court informed of any major developments". The plea further sought a direction to the state government to compensate the victim for his medical treatment. It said Qasim had died as a consequence of the lethal mob lynching, while Samiuddin survived the attempt on his life but suffered multiple fractures, wounds and egregious injuries. It said Yaseen and Dinesh Tomar, brother and a family friend, were subjected to "grave threat and coercion" by Circle Officer Pawan Kumar Singh of Pilkhuwa Police Station for lodging a false complaint of road rage instead of mob lynching. It also sought cancellation of bail granted to the accused, including alleged key offender Yudhishthir Singh Sisodia.